SAN DIEGO (Reuters) - Eastman Kodak, a company that invented the hand-held camera, has filed for Chapter 11 business reorganization in the U.S. Bankruptcy Court for the Southern District of New York. Kodak’s liabilities exceed its assets by approximately $1.65 billion. 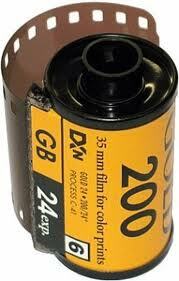 Non-U.S. subsidiaries of Kodak are not covered by the bankruptcy filing and will continue to honor their obligations. Astronaut Neil Armstrong, the first man to walk on the moon in 1969, used a Kodak camera the size of a shoebox to take pictures. The pictures he took possibly had more viewers than 80 Best Picture Oscars.